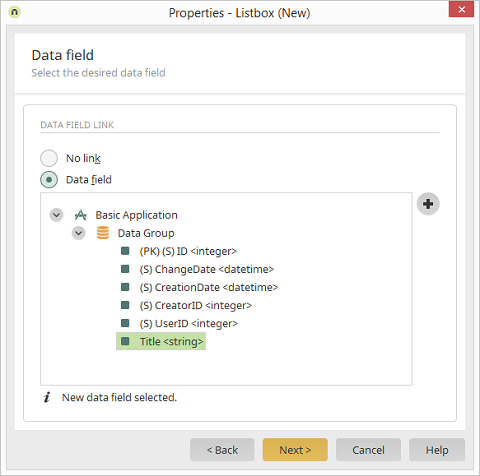 With this option, the listbox will not be connected to a data field. This means that data cannot be saved that is selected in the listbox. Select the data field with which the listbox should be connected here.